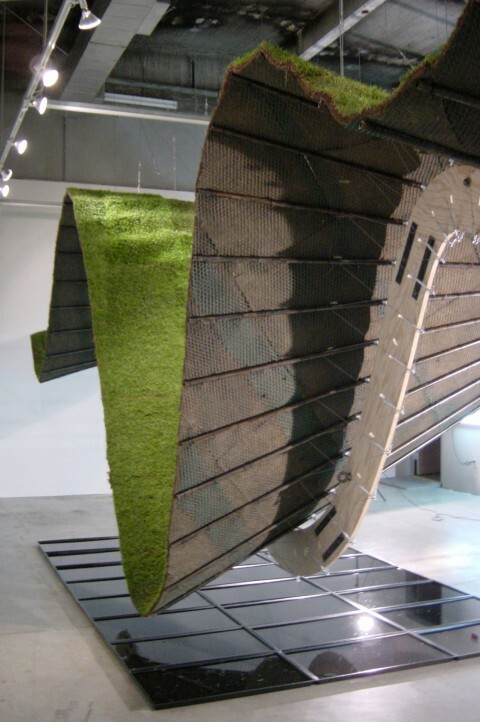 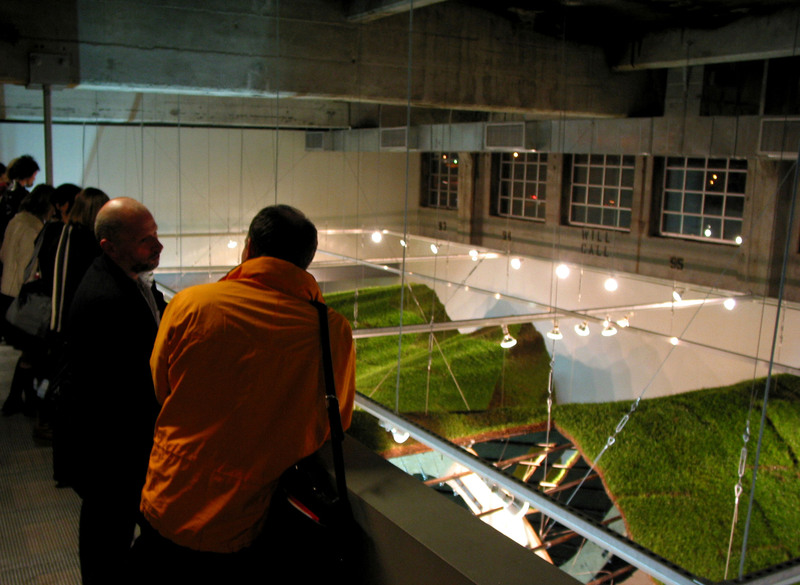 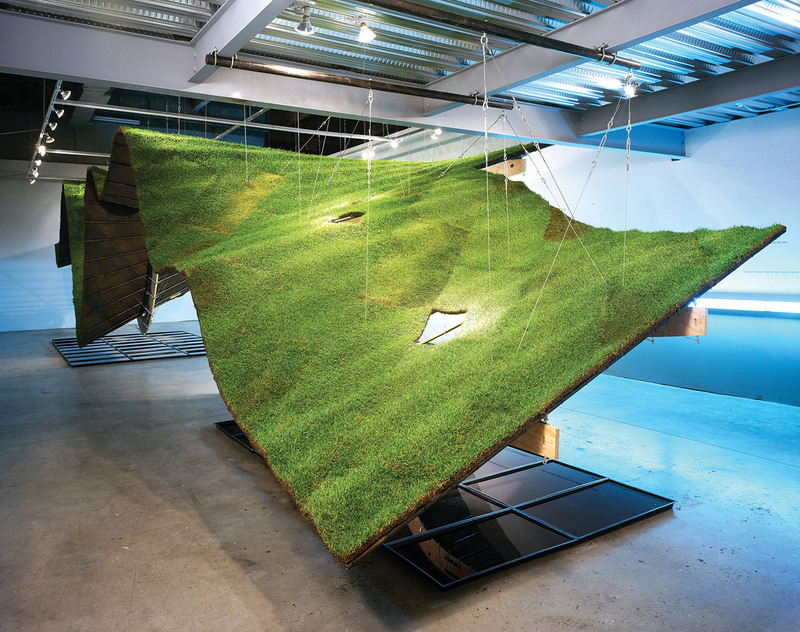 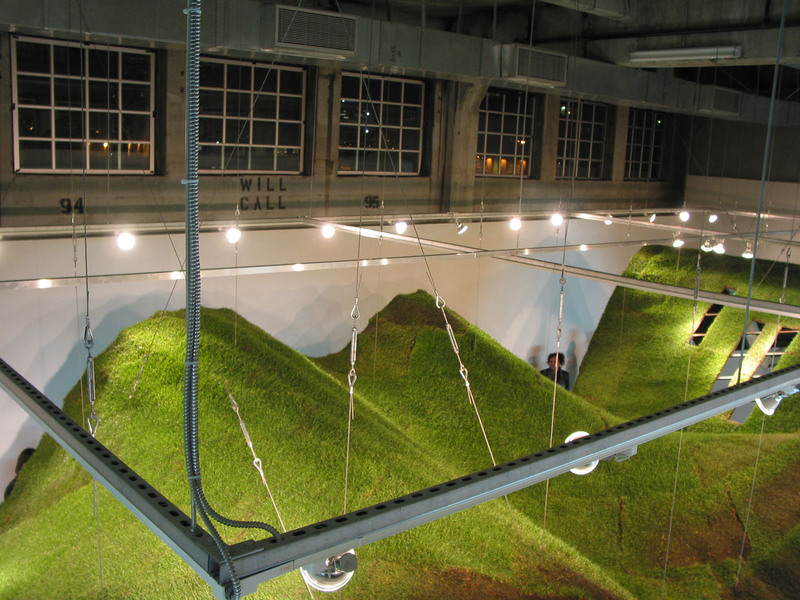 The ubiquitous, manufactured lawn was the subject of this installation at SCI Arc, exploring our cultural relationship to that thin plane of suburban carpet. 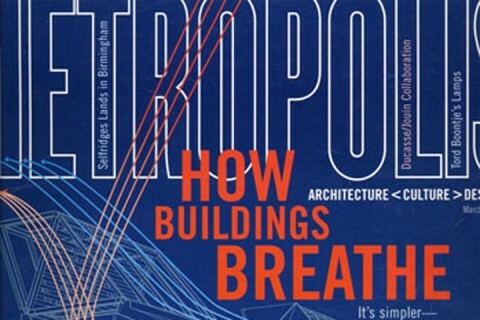 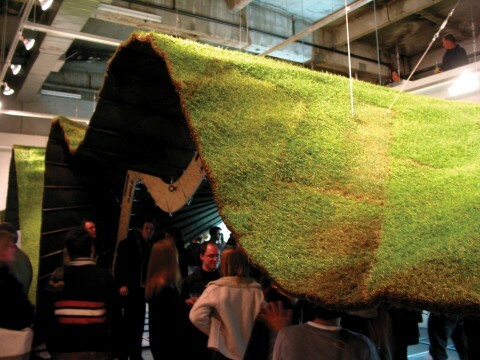 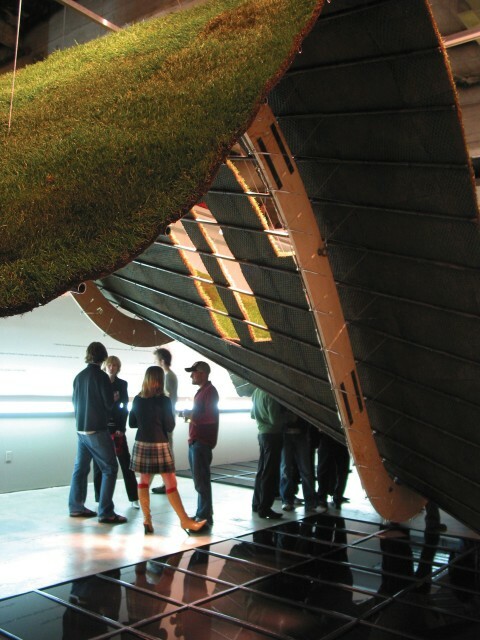 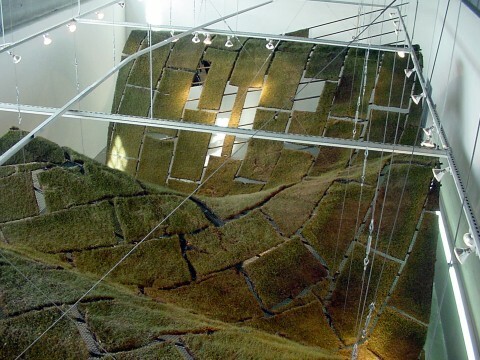 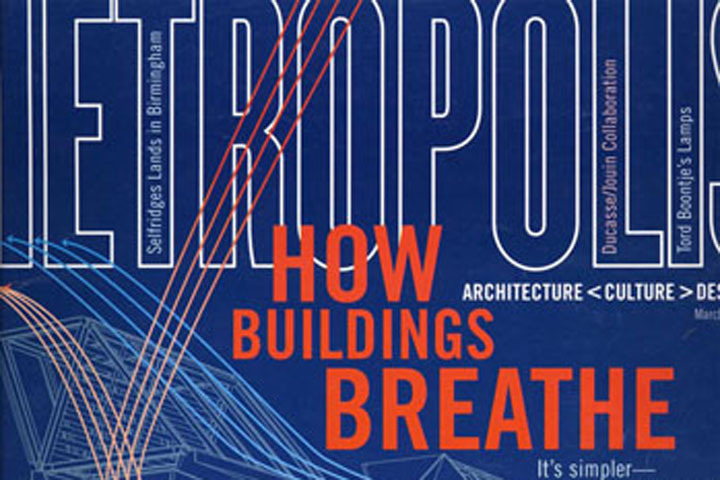 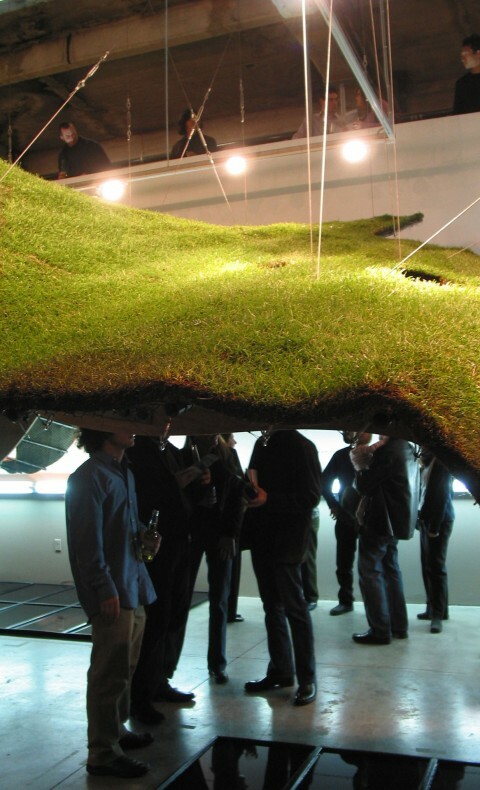 By suspending 1000 square feet of sod from the ceiling as a thin, warped plane, the inherent dichotomy of the sod’s organic and artificial nature is made poignantly clear. 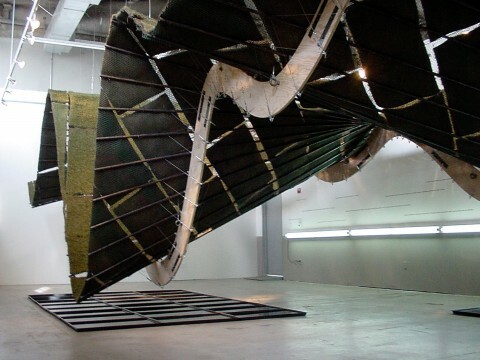 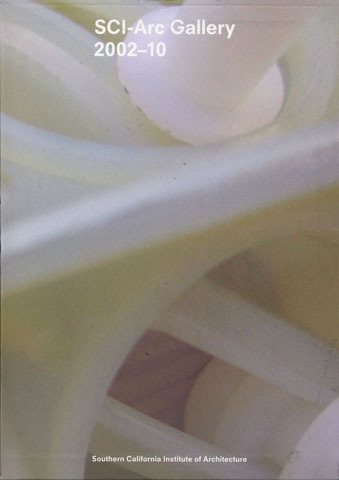 The exposed structure of the installation is contrasted by the natural deterioration of the grass as it was intentionally not watered over the course of the eight-week exhibit. 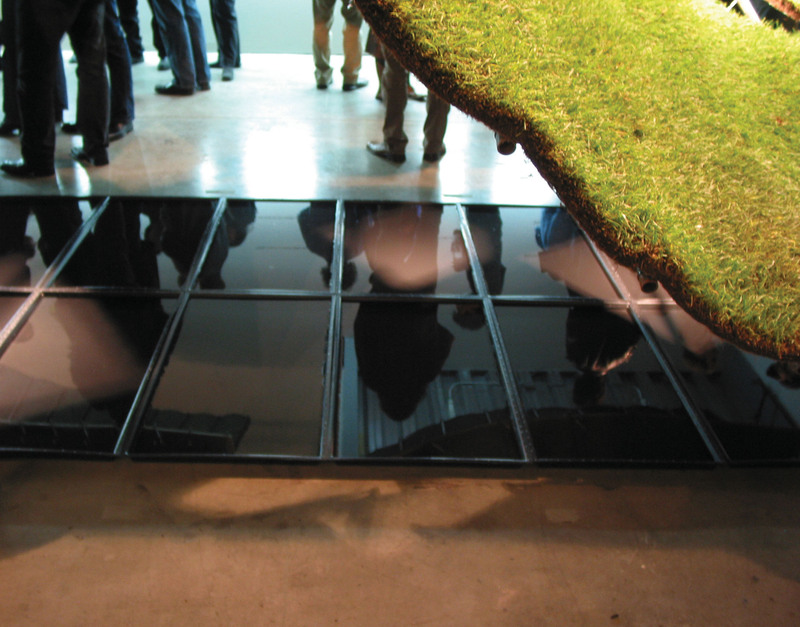 The significance of the lawn’s relationship to water, an increasingly precious resource, is reinforced by text and a continuous strip of fluorescent lights mounted 3 ½ feet above the floor, representing the volume of water that is necessary to maintain the project’s sod for one year.